About Julie: I have long been a writer and editor. 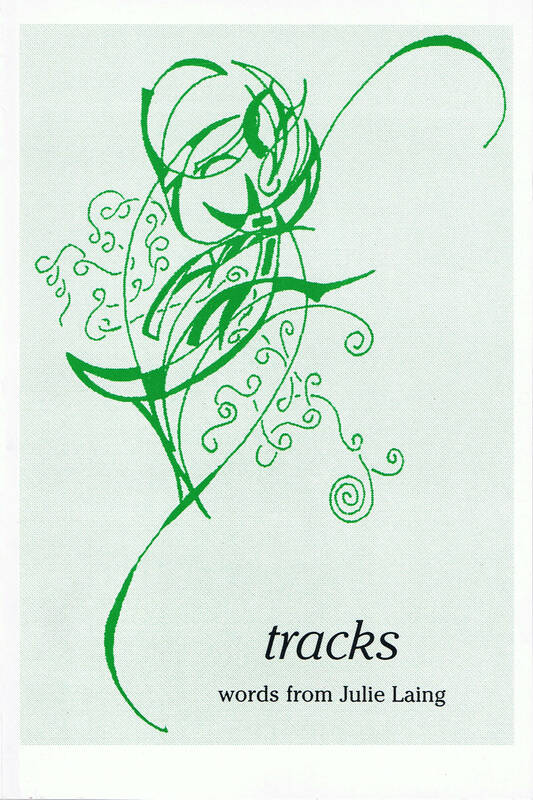 My poetry has appeared in Chapman University’s literary magazine, Calliope; the online literary journal Sketchbook; my chapbook, Tracks; and most recently in the poetry-and-art anthology Inspiration Speaks. I’m also a regular participant in several online poetry groups. My work as a music critic and journalist has been published in newspapers and magazines including The Orange County Register, The Spokesman-Review, and Mean Street Magazine. I have recently revived my written and spoken word efforts by reading at local open-mic events and working toward a second chapbook. I earn my living as a self-employed editor in northwest Montana. About JulieBooks: I started my first JulieBook when I was in high school in a cheap spiral notebook. After trying and failing for years to keep a diary or journal, I began what would grow into a collection of blank books filled with original verse and doodles, quotes, lyrics, scraps of memories, and contributions from others brave enough to add their own thoughts. A JulieBook is opened at random and filled a page at a time; one book is finished and a new one begins when it feels right, regardless of how many blank pages are left. JulieBooks are always open for public consumption, as is this blog. Enjoy! I encourage feedback and will read any comment you post with the same attention you give my work. You can also email me.